This is the last weekly round-up of Me Made May 2016. (I will post the month’s summary on Wednesday). 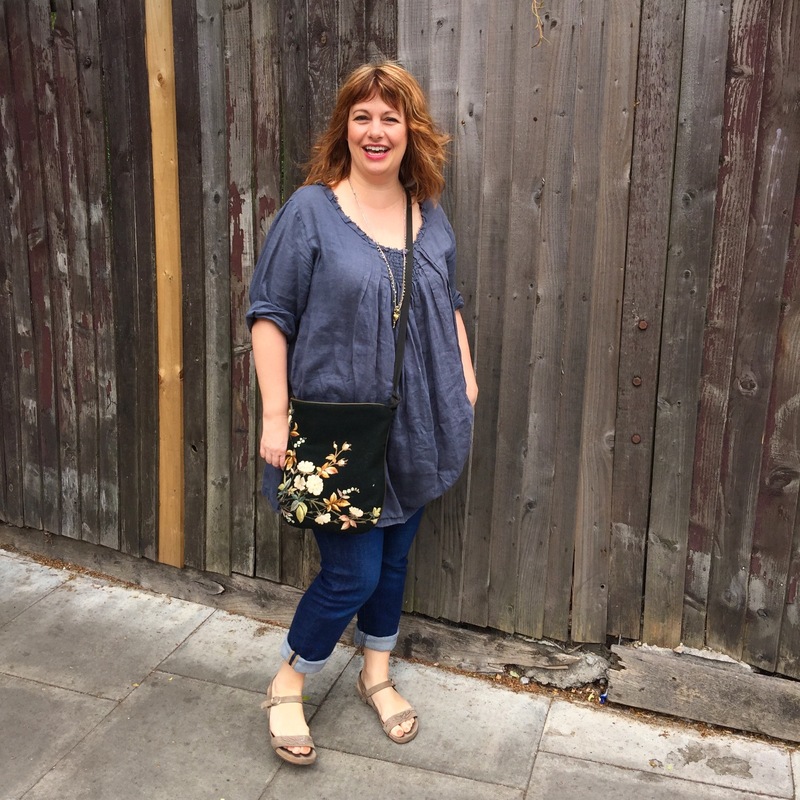 I’ve had a great time participating, weeded out my wardrobe, found some wardrobe holes and mades some lovely new friends on Instagram. Me Altered: These are the jeans with 6″ removed from the back of waist. They are getting back into rotation now. Comments: My Velvet Pilvi coat has had lots of wear this month. I haven’t always posted it because I don’t want to bore you, but it’s great. I made this tunic last year and used some pretty scraps of bark cloth on the yoke and pocket turns. It’s good to throw on for messy work days. These orange crocs aren’t even comfortable. No excuse for them really. Comments: Beautiful morning for a walk on the Walthamstow Marshes. 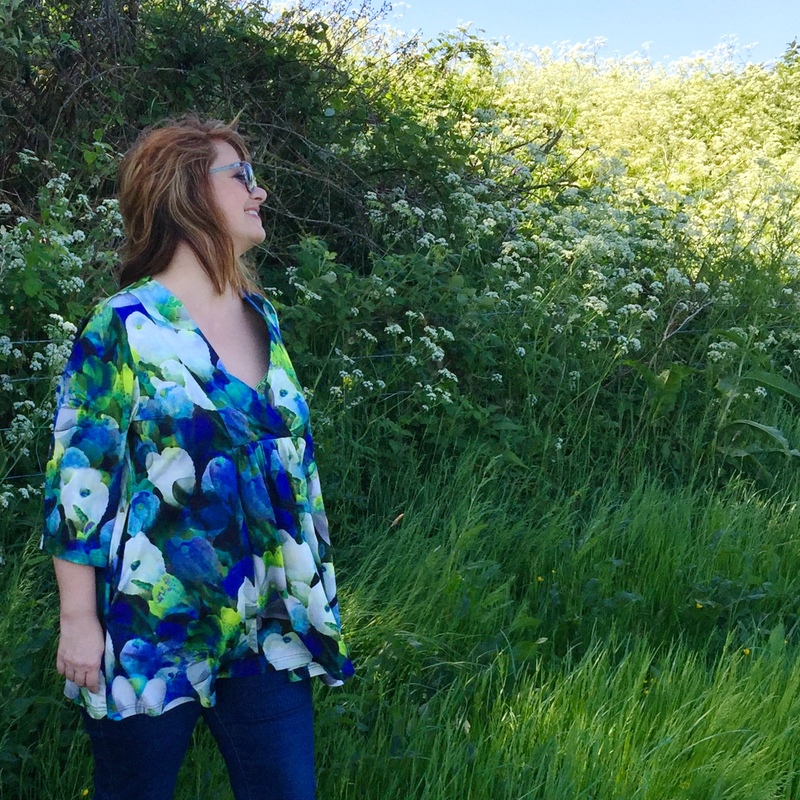 I’ve made a bunch of these tunic tops from a self drafted pattern. This one is in a slinky lycra that I bought because I love the print. I guess I could go swimming in it (???). 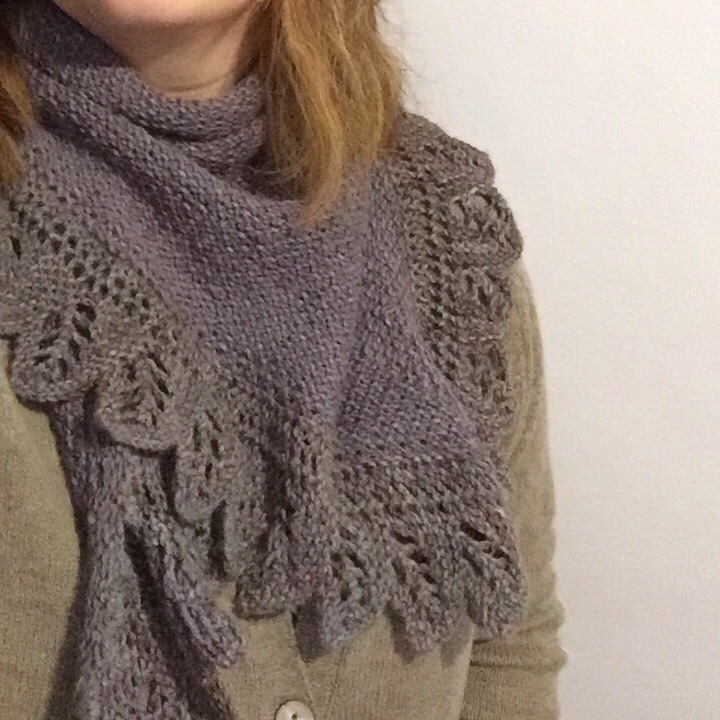 Me Made: Crow Waltz Shawl, I designed this for Loop six years ago. I still wear mine. Store bought: everything else today. 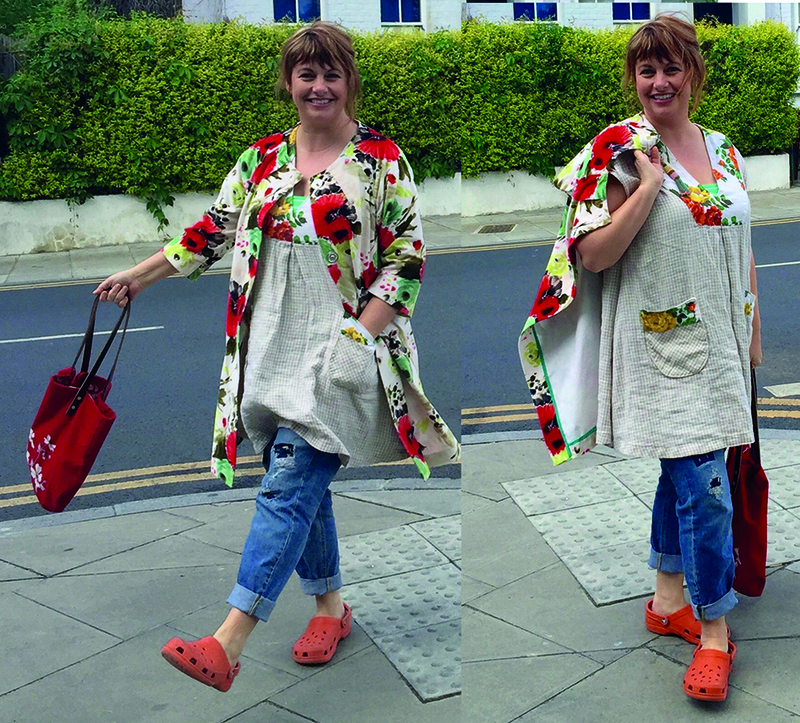 Comments: I was feeling a bit low so I had a day of cosy, sewing, wrapped up in knit layers. Comments: I made a pattern for this dress/tunic for a friend, based on a dress she loves but doesn’t fit her quite right. I made one for her, and one for me. This one is made out of a blister viscose/cotton. When the fabric is washed, the cotton shrinks but the viscose doesn’t, creating the blister texture. I love the look of the faded print too. I will wear this over jeans as well. 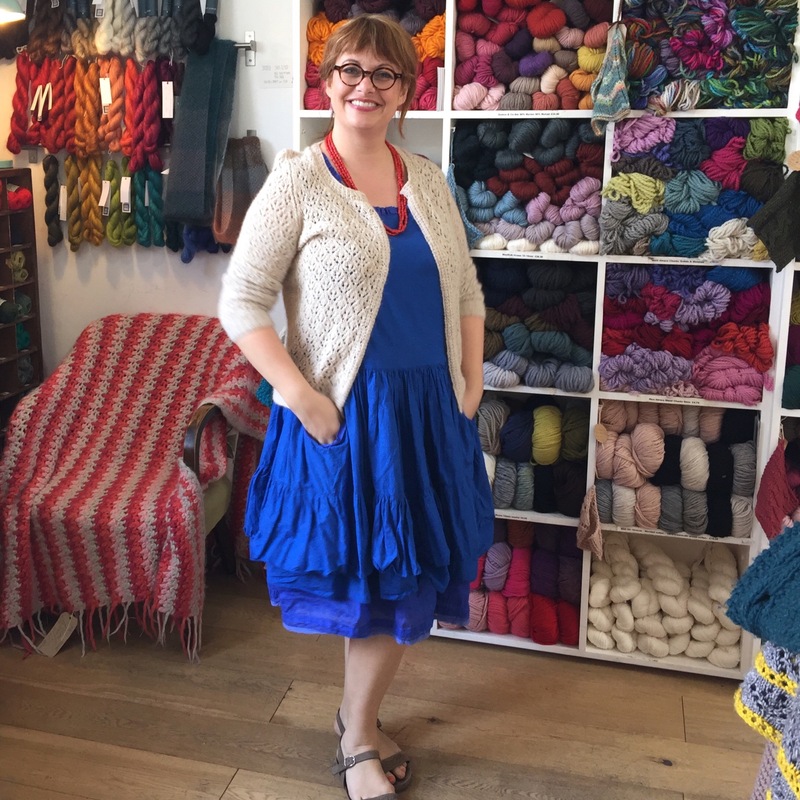 Me Made: Dress and Surry Hills cardi. Store bought: Shoes and undergarments. Comments: I was going to wear my Washi dress when this dress called to me from the depths of my wardrobe. I love the bottom half and the colour but the bodice isn’t a nice fit. It’s disguised by the cardi. I’m going to fix it. Either it will become a skirt or I will give it a better bodice. I was wearing my cropped Kimono but I just finished sewing together this sweater and threw it on. It isn’t blocked so it has some weirdness. I was very haphazard in my following of the pattern. Too easily distracted for concentrated knitting, these days. Mine is much longer. Maybe too long. We’ll see. Comments: I love this dress so much I had to get another wearing of it. My necklace is me made. I think it was a sample from my book I Love Beading. I should lengthen my necklace. Can my neck really be getting that much bigger as I age? It appears so. 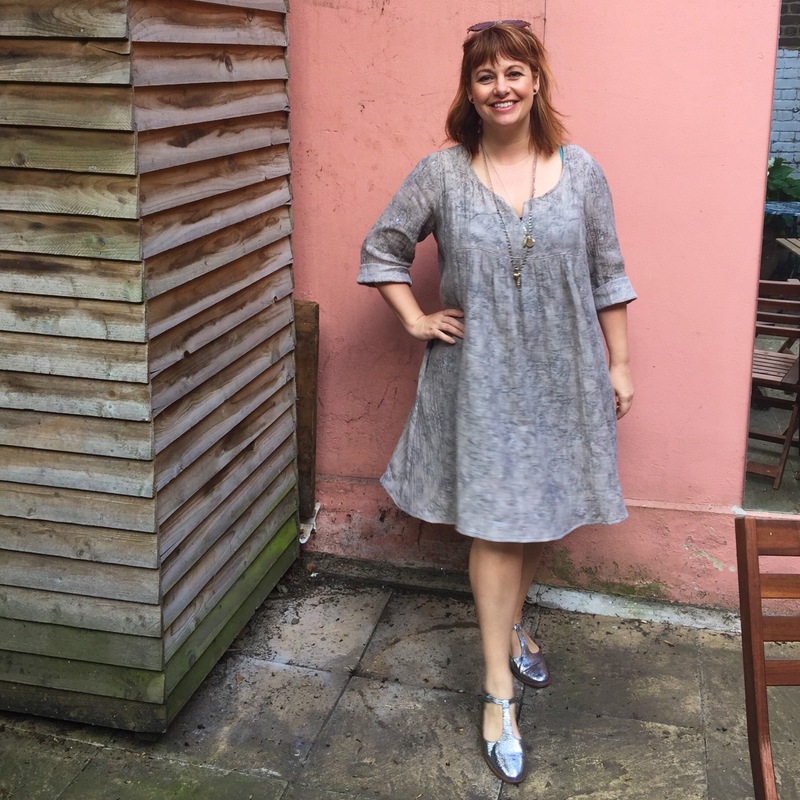 Comments: This is a linen tunic I made last summer. I bought the linen for £1.99 at my local pound shop and dyed it this wonderful grey. I graded up a pattern from a Japanese sewing book and added a shirring panel to the centre. It doesn’t fit well. Like most Japanese sewing books it is a dropped sleeve, which doesn’t really look good on me and the neckline is too big. I might retire it, but as we are at the end of Me Made May, the dogs have come out to play. Bring into rotation unworn clothes. Yup: I hadn’t worn the Blue dress of May 27th since last year. It needs some fixes, and it is on my sewing table now. Document everyday of the month with a photo. Yup. My eyes disappeared on May 29th but I’ll get them back again. Participate in the online community. 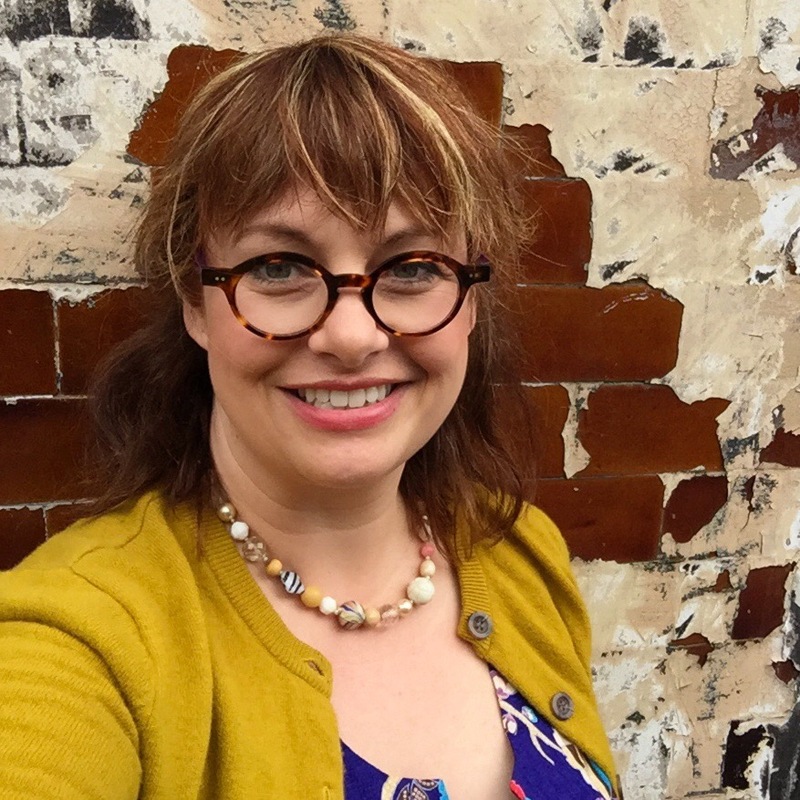 Yup, I’ve made some excellent Instagram connections and have discovered some new people to follow! Make 4 new garments for myself. I finished this last week, but have since made the tunic/dress of day 26 for myself. I also finally finished my Shilsdair Surry Hills Cardigan. It’s blocked now. It might get a day out tomorrow. Where are the holes are in my wardrobe. I had a massive clear out of my wardrobe this week. If I made a seasonally appropriate item, that I didn’t wear this month, then it doesn’t deserve to be kept, does it? I have enough me mades that I like, that I don’t need to hang on to the dogs. I could use some tops. Maybe even just some simple, flattering t-shirts to wear with jeans and my soon-to-be jacket collection. I might whip some up on holiday Monday. That’s so kind Michelle. I’m thinking of carrying on with Me Made Mondays.